5 Bedrooms – 1.75 Baths – 2 Car Garage – 2,170 Finished Sq. Ft. This home has it all! The perfect Cottage Grove location, all the interior spaces you need for easy living and entertaining, and a fantastic .3-acre lot with a fenced in yard. Nearby parks and trails, along with easy access to shopping and freeway make this the ideal location. Curb appeal. You will fall in love with this home at first sight. Butter yellow exterior with white trim will draw a cheerful smile. Tidy perennial beds surround the home, with easy care plants like hostas, Stella d’oro lilies, bleeding heart, and clematis. Mature trees, including maple, ash, and crabapple offer shade and seasonal beauty. The garage door was replaced in 2017. Fenced-in back yard. The level back yard features a deck off the main floor family room, ready for backyard barbecues and relaxing on summer evenings. A large storage shed matches the house and features a steel roof for easy maintenance. It’s located near the deck and the garage. You could use it for storage, of course, but imagine the possibilities for entertaining (perhaps a she-shed, man-cave, or outdoor bar!) You’ll also love the firepit. The chain link fence has 2 gates for easy access from the front. This home offers all the spaces you desire, indoors and out. Functional main floor. When you enter the front door, you will find a spacious living room, ideal for entertaining guests. A lovely first impression! The adjacent kitchen room is open to the family room and offers beautiful oak cabinets and a spacious dining area. The family room opens to the deck and features a show stopping gas fireplace clad in brick. 3 bedrooms with spacious closet, large windows, along with a full bath complete the main floor. All the carpet throughout the home has been replaced. The closet doors in all the bedrooms are also new. Finished lower level. The finished lower level is a delight! A spacious family room offers new paint and carpet – ready for your home theater and/or game table! 2 additional guest bedrooms (for a total of 5 bedrooms in this home) are spacious and feature spacious closets and egress windows. A ¾ bath is brand new! The lower level also features a spacious storage/workshop and a utility room. Great Location! 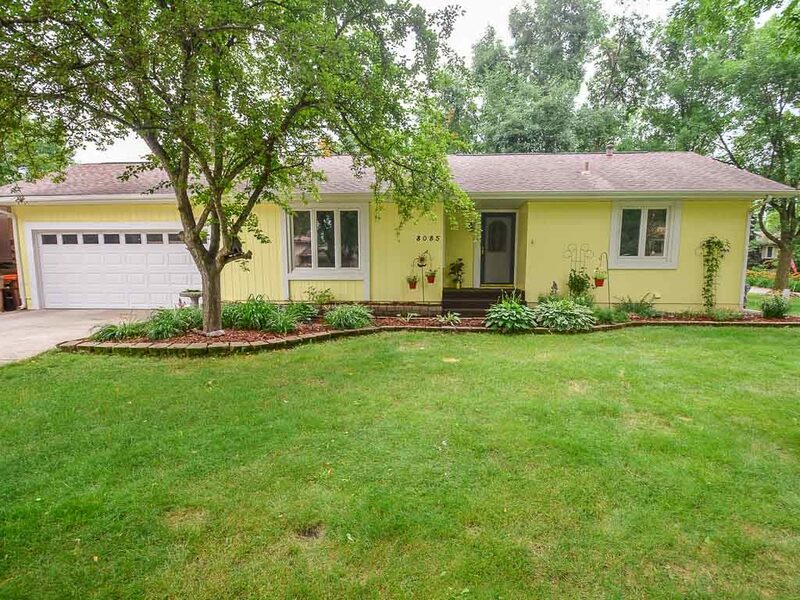 Located on a quiet cul de sac in Cottage Grove, with easy access to parks and trails. Highlands Community Park is only one block away, where you can enjoy a playground, sports courts and fields, park shelter, and splash pad! The cul de sac provides access to a trail that circles a neighborhood pond, perfect for walks and bike rides! Just a few minutes from I-94 and US 61, with convenient shopping, dining, and entertainment. Desirable District #833 South Washington County Schools. First time home buyers in Cottage Grove may qualify for first time home buyer programs! If you are considering buying your first home in Cottage Grove, MN, you may be able to get down payment assistance or discounted loan programs. We can help you find your dream home, and make it happen. Presented by John and Becky Durham, Durham Executive Group, RE/MAX Results Realtors in Woodbury, MN & Hudson, WI.